EU-Russia gas relations: Back to «business as usual»? Commercial interests in the European Union (EU) and Russia (Gazprom) have agreed to double the capacity in the Nord Stream pipeline transporting gas from Russia to Germany. The project has become one of the most controversial issues in EU gas-related debates today, above all in Central and Eastern Europe. A new Policy Brief from NUPI - Nord Stream 2: policy dilemmas and the future of EU gas market, authored by Agata Loskot-Strachota – analyses various sides with the NS2-project, with possible implications also for Norwegian gas export. The new pipeline, costing 8 billion euro, and where Russian Gazprom is the main owner, has been named Nord Stream 2 (NS2). Commercial interests in different EU countries, among them Germany, France, Austria and the Netherlands, will cooperate with Russia in the construction of the new pipeline. The agreement was, by the way, signed without any consultation of other EU-states, companies or institutions. The proponents of the project hold that the project is driven by purely commercial considerations and is much needed, while opponents label it as political and contradictory to EU goals and rules. The Proponents are mainly to be found in East and Central Europe. The project has raised several questions concerning the role of commercial actors in the shaping and realization of the EU energy policy as well as the impact on EU internal cohesion and relations with Ukraine and Russia. Realization of NS2 may boost the role of Russian gas in the European energy mix, especially in northwestern Europe, the opponents say. It could also undermine the credibility of the common EU energy policy, which aims at diversification of supply routes and suppliers as a joint and coordinated response to the energy-security challenges faced by the EU. Controversies and dilemmas are plenty regarding the NS2 project. Shall the EU try to improve relations with Russia – after the annexation of Crimea in 2014 and the destabilization of Eastern Ukraine? Would NS2 construction both indicate a return to ‘business as usual’ with Russia and result in lesser EU interest in energy cooperation with Ukraine?, Agata Loskot-Strachota asks in a recently published NUPI Policy brief. Some key EU politicians – like German Minister of Foreign Affairs Steinmeier and EC President Juncker – have called for such rapprochement. Which rules should market actors and member states adhere to in large scale infrastructure projects like the NS2? And how shall commercial interests relate to political signals? The project is being planned in a time of great volatility in the gas markets. Proponents of the NS2 project argue for the project as a possibility to avoiud Russia beeing too strongly engaged to the east and also to increase the role of the gas sector. Shale gas has contributed to increased production and decreased prices for LNG as well as for piped gas. Ongoing market liberalization and integration mean greater flexibility in the European market, but has also led to decreased demand for gas within the EU. Coal and renewables have got a greater role. And this trend is expected to continue, says Loskot-Strachota. In times like this, it’s difficult to foresee the energy future of the EU. Too much of the energy policy is also still very much in the making. At the same time, due to decreasing internal production and stalled developments in unconventional gas, European gas imports will keep growing (despite decreased demand for gas). Assessing future gas needs is difficult, due to sustained uncertainties related to the final shape of European electricity/gas markets, EU energy-policy design, and implementation of 2030 goals. This negatively affects the situation for the European gas companies. The situation on the European and global gas market negatively impacts the results of Gazprom. Its exports to both the EU and the CIS decreased significantly in 2014. In 2016 the price of Russian gas for European consumers is the lowest in 11 years. Also tense EU–Russia political relations resulting from the Ukraine crisis play a part. Challenges on Gazprom’s key external market come in addition to those at home, where gas demand has been decreasing since 2011, and Gazprom faces increased competition from other gas producers, mostly Rosneft and Novatek. In consequence, Gazprom’s share in the domestic gas market dropped from 83.5 % in 2007 to 69 % in 2014. In response to EU sanctions, in 2014 Moscow intensified its attempts to diversify Russian gas export markets, especially by speeding up agreements with gas-hungry China. However, challenges linked to financing new gas pipelines to China and related upstream projects, economic problems in Russia, increased competition, and lower prices on global gas markets may further postpone the opening of new markets for Russian gas. The same goes for recently depressed Asian demand. 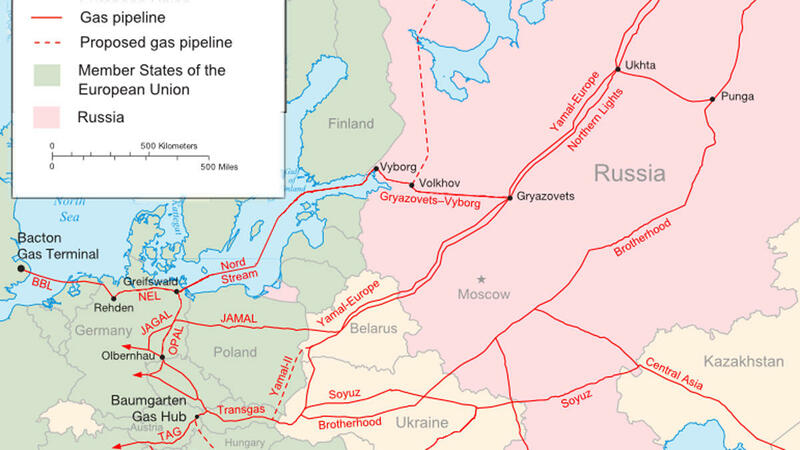 In addition, most of the existing Russian gas infrastructure is still geared towards west. In consequence, the importance of EU gas market for Russian gas exports has been reaffirmed and Gazprom has had to rethink its European strategy. Gazprom seems to be refocusing from defending its gas prices to defending its market share in the EU. 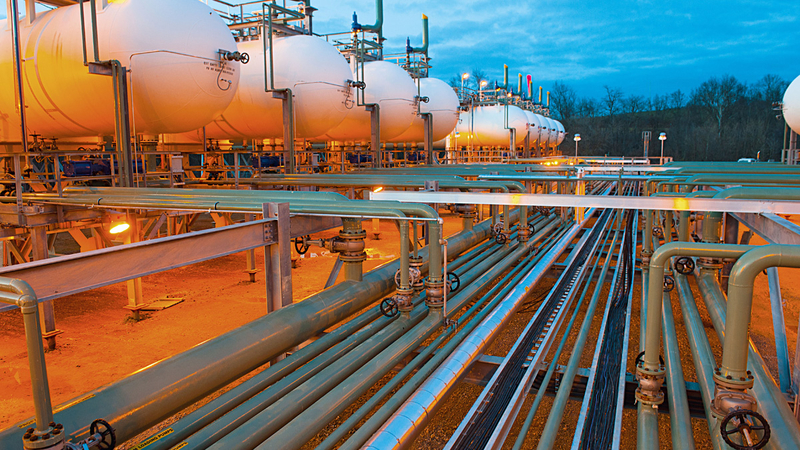 Gazprom focuses on increasing its flexibility of operating on a more volatile EU market. It seems more open to try new solutions in gas trade with the EU, such as selling gas via auctions and increasing the role of spot prices. Gazprom’s increased interest in the LNG market marks another step in this direction. Finally, the NS 2 agreement also shows that Gazprom – contrary to Norway – may be ready to play quite boldly, and launch large and expensive projects, Loskot-Strachota says. With almost doubled capacity, the Baltic route will have a capacity only slightly smaller than the existing Ukrainian route. Additional capacity would enable Gazprom to step up the volume of its exports to the EU relatively quickly. Construction of NS2 would make Russia less dependent on transit via third countries – Ukraine, Slovakia, Belarus and Poland – and increase Gazprom’s possibilities for choosing optimal routes for gas supply to EU consumers. Thus, NS2 would contribute to an increase in Gazprom’s flexibility in operating on the EU gas market. “Could these developments fill the existing and planned North–South Gas Corridor links in Central Europe with Russian gas, and hence limit the capacities available for gas from non-Russian sources, like Norway?”, Loskot-Strachota asks. What about Norwegian gas export? In the context of growing liberalization of the EU gas market and the flexibility of Gazprom’s supply to the EU - like long term contracts supplemented by shorter ones and decreasing role of transit contracts – NS2 might increase Russian gas supplies (and then market shares) to some European hubs (mainly in Germany and in the Netherlands). This could also influence its ability to influence prices. The availability of potentially large volumes of cheap Russian gas could impact LNG supplies to both North West Europa and CEE. “Simply the perspective of NS2 being constructed could limit the willingness of EU customers to sign longer-term LNG supply contracts and also influence the share of Norwegian gas in this part of Europe”, Loskot-Strachota foresees. Finally, she points at the possibility for strengthened Russian-German relations. This may lead to a greater share of Russian gas in the German market – despite the currently decreasing gas consumption, the energy transformation and the drop in EU internal gas production. This could translate into a comeback of the ‘gas as a transition fuel’ policy (rather gas than coal), with increased demand for gas imports to Germany. All in all, Loskot-Strachota foresees a strengthened Russian-German energy partnership contributing to greater importance of the German gas market in the EU – more trade on German hubs and more transit via Germany. This would benefit the German gas sector and the German economy in general, but in turn also translate into greater German dependence on Russian gas.